Chorus members are from Cape Cod and surrounding South Shore communities. Cranberry Shores was formed in 1986 and is currently under the direction of Sally Beck. 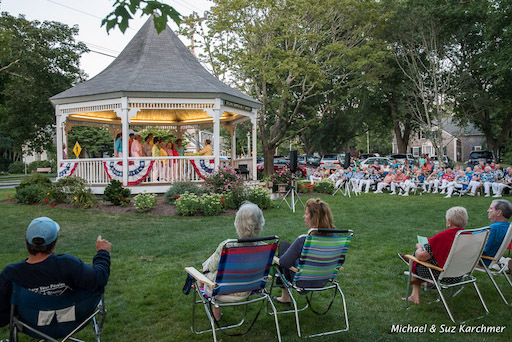 Reaching out to the community through the gift of song, the Chorus repertoire includes a delightful mix of toe-tapping jazz numbers, beautiful ballads, Broadway show tunes and traditional American songs performed and choreographed to captivate audiences of all ages. Some performances include audience participation. A typical chorus performance includes numbers sung both by the full chorus and by quartets of its members. Cranberry Shores was asked by the Red Sox to sing the national anthem at the game at Fenway Park on July 10, 2004! We think that's why the Red Sox won the World Series that year. 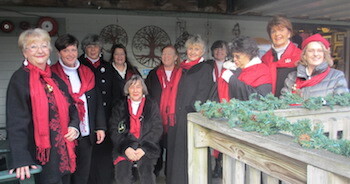 In recent years Cranberry Shores Chorus has performed for the Wareham Ladies Silver Tea, the New England Flower Show in Boston, at the Barnstable County Fair, the Cape Cod Mall, and at holiday strolls in downtown Hyannis. The Chorus also competes each year at the Sweet Adelines regional competition in Springfield, and thrills audiences with performances at hospitals, nursing homes, and other private and public events in and around Cape Cod and the South Shore.